United still in for Bale? 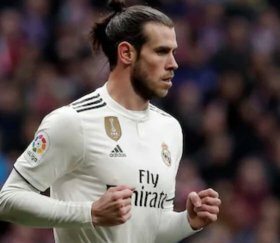 The Wales international has endured a frustrating season with Los Blancos where he has managed just eight league goals while he has been constantly been booed by the club's faithful. According to Marca, the Red Devils are still said to hold their long-term interest in signing Bale and they could offer Paul Pogba in a potential exchange deal for the Welshman. Aside from United, former club Tottenham are looking into a probable move for the 29-year-old whilst Bayern are likewise considering an approach ahead of this summer's transfer window. Spurs are expected to make a couple of marquee signings after failing to spend in the past two transfer windows. Bayern, meanwhile, are keen on signing an experienced wideman with both Arjen Robben and Franck Ribery leaving the club in the summer.